Firstly, I want to thank all of my lovely readers for the nice comments on my previous post! I was great to hear from you all and I really appreciated all of your warm words. Sort of meh… Is it me, or are all of the Project Runway patterns starting to look alike? S1689 – Leanne Marshall fancy dress. I actually quite like this design, especially on the shorter version. S1690 – Another Leanne Marshall design. “petal wave” designs from the show. S1691 – A Suede Says design. The pattern is ok, but not really interesting enough for me to want to get it. 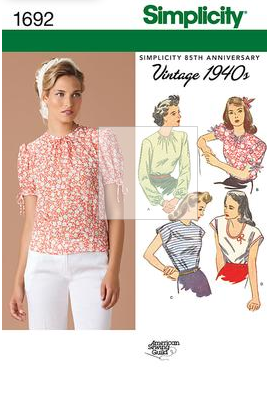 S1692 – A 1940s vintage top pattern. S1699 – Wardrobe pattern with peplum top. S1697 – Skirt pattern with peplums and hi-lo hems. S1694 – Baggy hi-lo tops. S1695 – Hi-Lo hem – Extreme Edition. S1686 – An amazing fit pattern. S1688 – A Cynthia Rowley design. My favorite! This is the one must-buy pattern for me in this release. There were, of course, other patterns, but not too much to remark on. Overall it is an ok release – a few good patterns, but not a lot that feels extremely remarkable. I don’t know. It seems that since I have found Burda, I am less inclined to be excited by the Big4 envelope patterns because I usually already have something similar in one of the magazines. What do you all think? Is there anything in this release you are dying to make? 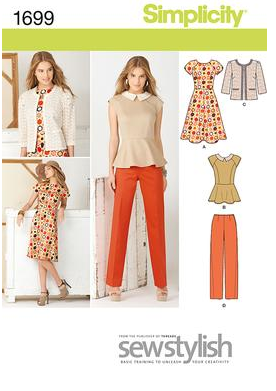 Do you find that having a Burda subscription makes “trendy” patterns less appealing? Am I the only one who is finding all of the first releases for 2013 to be a bit disappointing? Discuss in the comments! I was totally underwhelmed by this release by Simplicity and also the recent release from McCalls (although McCalls is slightly better than Simplicity IMO). Is it because we all have so many patterns now that nothing seems new – or have the designers gone to sleep? 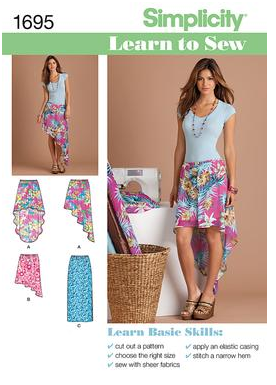 I too like the Cynthia Rowley pattern but the rest are a bit meh. The recent McCalls release didn't excite me either. 1695 view B (?) would be a good pattern for dance skirts for figure skating! I think part of it is that my stash has grown so large… I have so many basic patterns that I don't get very excited by new basics. I also think part of it is that the current trends are sort of boring and not really my style. And that once you have one of the “trendy” patterns you are pretty much set. I mean, how many oversized shirt patterns does a person need? And, I agree that McCall's is slightly better… but only slightly. I am hoping the next Vogue release will be more interesting, but I am not really counting on it. There is something about the flared version of 1697 that I really like. And I like the Cynthia Rowley pattern. How cool is it that the jacket is pieced to look striped? There are a few others I liked, too. Overall, I thought this set of patterns was better than the last few releases. But yeah, kind of meh, too. 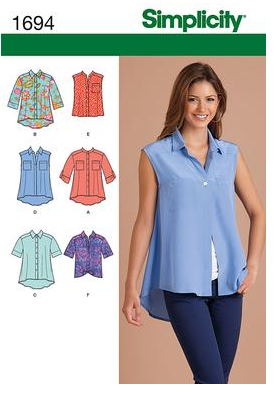 Vogue still produces patterns I want to sew but I'm with you on McCalls and Simplicity. I'm not sure if it's the patterns or the styling though. Burda seems so much fresher and more modern but when I look at the line drawings a lot of them are also very simple and basic. Still I have a sewing queue a mile long so someone's doing something right! Yeah – I agree with you on the sewing queue! I think perhaps that is why I am more picky on new patterns… If they aren't at least as good as a lot of the things I already have that I want to sew, then I don't see a need to add them to my mile long list. 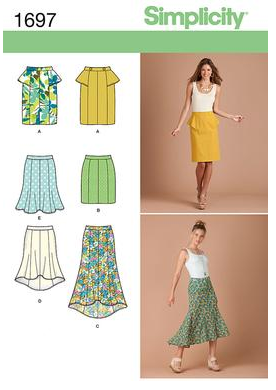 And, yes, I think Burda's styling makes a lot of the looks seem more appealing than the styling from the Big4, even when the patterns are similar. And I usually get a better fit from Burda, so if I am choosing between two like patterns I usually go with Burda anyway. The perfect fit wrap dress is interesting–not excessively exciting but nice elements that would be good for work. I just need Simplicity to go on sale at a time I can make it to the fabric store!